UNC (0-2) has a rough schedule to start the season. They lost in week 1 at home to a ranked McNeese State 17-14. McNeese went up 17 zip in the 1st half, and UNC made it a game late in the 4th with a pick 6. McNeese had to replace a lot of starters on defense coming into this season. The Bears had a tough road game at South Dakota last week and got rolled 43-28. They made another comeback in the 4th only to see USD pull away with some late scores. UNC doesn't look very strong on defense as they are giving up 478.5 ypg (339.0 passing, 139.5 rushing), and offensively they seem to rely on the Jacob Knipp (45/70, 592 yds, 4 TD, 3 INT) to speedster wideout Alex Wesley (13 rec, 284 yds, 1 TD) connection. The Bears rushing attack has not shown much life with Trae Riek (23 car, 70 yds, 1 TD) getting most of the carries, but they have been playing from behind all season. Hornets need to jump on them early and keep them from climbing back into the game late. The UNC OL has given up 10 sacks in 2 games, so the Hornet defensive front should have a field day. Hornets should be good enough to win this even if Thomson doesn't play, but the Hornets need to focus on the task at hand (huge game in Missoula next week) and take care of business in Greeley. I think they do exactly that and win this one comfortably (14+). caught the 4th quarter, Sac starting to impose its will in what sounds like was a snoozer. d@mn this team has some athletes though. Leonard Hazewood (#52)is a beast and had a huge strip sack late. Elijah Dotson is a monster. He is gonna be a terror in this conference. Thomson was clearly hurting, UNC played their hearts out in ugly game, Hornets were lucky to walk away with the W in this one! Hornets come back in the 4th and hold on to win it 28-25. I caught some of the 1st quarter then the feed started acting up so I ran some errands. Listened to a bit of the game here and there and caught the last 7 mins of the game or so when I got back home. Feed still sucked. Hopefully the replay will be up tomorrow. Ugly game and it sounds like injuries (Perkinson carried off the field) are starting to pile up. Sounded like the OL had issues but managed to do just enough to get the job done. Also seemed like a game of missed opportunities for the Hornets (fumble inside the 5 on Perkinson's injury, good field position most of the day). Huge strip sack late that resulted in the game winning TD. Hated the prevent defense at the end that gifted UNC a free TD and 2 point conversion. UNC's backup QB (Mott, 315 yds, 2 TDs) carved the secondary up today and they had success moving the ball on the ground. A lot of that had to do with the lopsided TOP in favor of UNC. UNC was set to have one last shot with under a minute to go but muffed the punt which the Hornets pounced on. Ugly win, but a win nonetheless. Huge game at montucky next week (they just lost to a winless Western Ill team on the road). 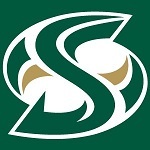 BuckeyeHornetFan wrote: The Sac State Hornets just did what winning teams do. Put their foot on the opponent when the game is on the line. After finally getting their 1st lead of the GM, the defense forced a TO & the offense ran it down UNC's throat to punch it in at the goal line. 28-17 w 2:53 to go. I'm so glad the Hornets eeked out the tough road win, but the prevent defense the last UNC possession was an embarrassment. Can't continue to do those things and expect to beat good opponents. Gotta play your typical defense in that situation and live with it if they happen to break a long one. Given that UNC scored 17 through 3 3/4 quarters, the odds were in Sac State's favor that the Bears weren't gonna move the ball down field and score quickly against the defense UNLESS they played it too soft and safe. That tactic almost cost them a much needed W.
I hope the coaching staff learns from the mistake going forward. I had some problems of my own with the streaming feed. For about the first five minutes, I was afraid I was going to miss the opening kickoff, so I took the radio out to listen to Jason and Steve. Once the feed started up, there was no play-by-play. Eventually, they used the Northern Colorado radio feed instead of the announcers from Eleven Sports who were supposed to call the game. The video quality was less than impressive, so I admit getting to watch the game was no easy task. I was, however, still pleased to see the Hornets get back on the winning track. STINGERS UP SACRAMENTO!